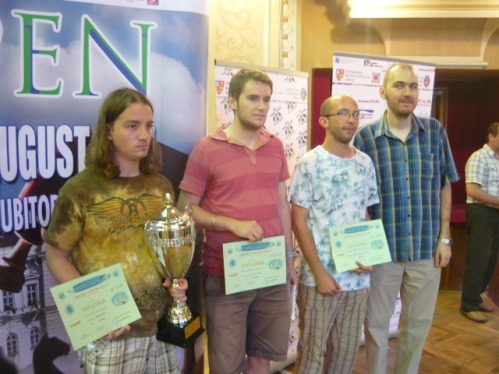 We've got some latest chess news from www.chessdom.com who have reported that in the Arad Open 2011 held from August 5-11, Hungarian GM Imre Balog won the tournament with 7.5 points. Despite a loss in the second round, he returned to win six straight games and one draw with FM Anton Teodor who finished second. The third spot went to Romanian FM Tamas-Kristof Balla. The tournament winners with the organiser Alin-Vivian Campeanu.